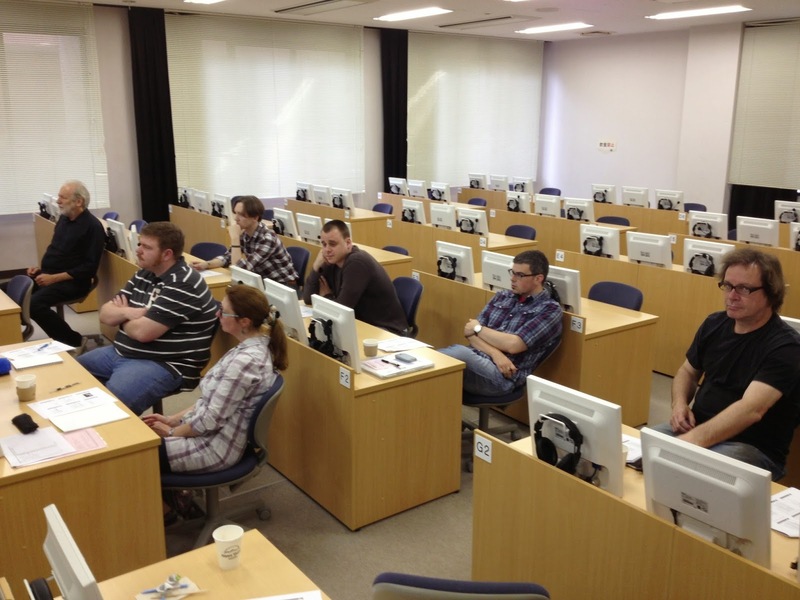 The June 2013 Nagasaki JALT meeting was held in Sasebo City at the University of Nagasaki Sasebo Campus. 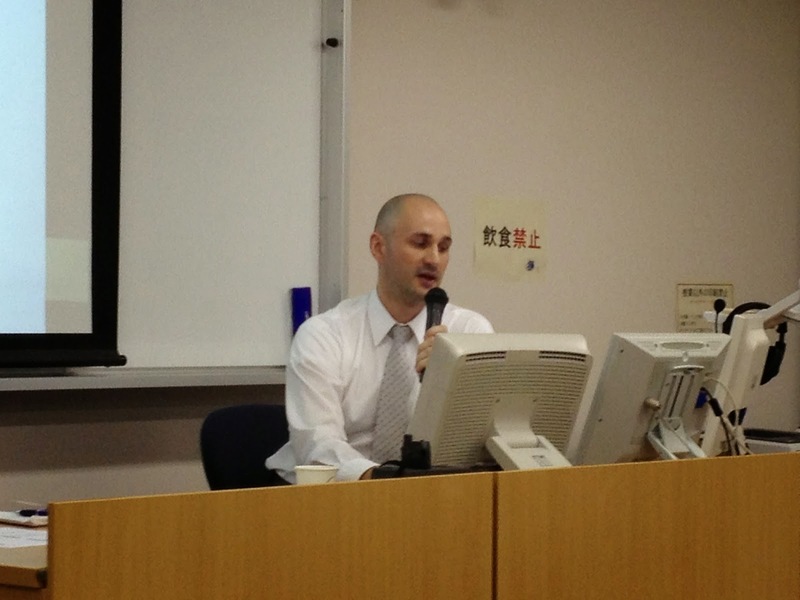 Our speaker this month was Mr. Luc Roberge of Nagasaki Junior College and his lecture was on Foreign Language Anxiety and EFL Physical Education. 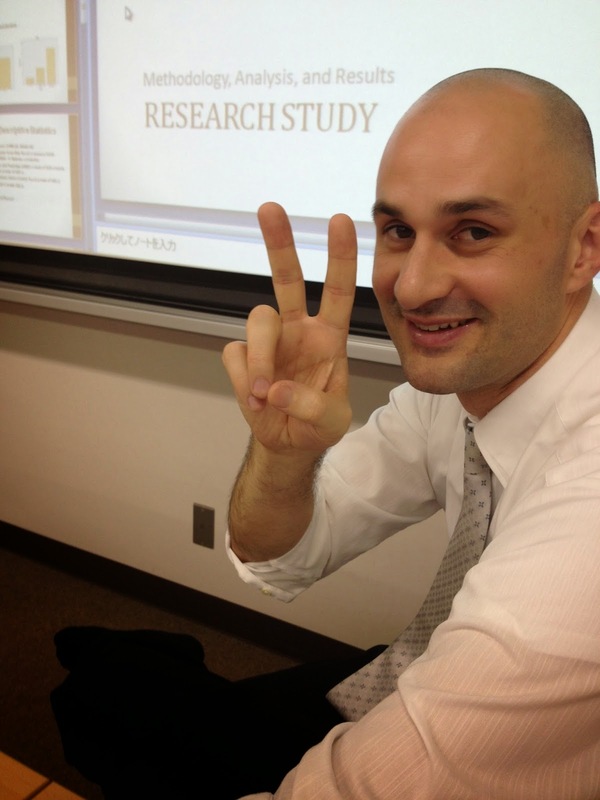 Luc presented his thesis/dissertation from his recently completed masters program at the University of Birmingham. The topic was a very challenging one since it deals with not only aspects of psychology and personality types, but also second language acquisition and the difficulties students face. To warm us up, he gave us a little demo on what it is like to actually be a foreign language learner. Using his second language (French), he proceeded to instruct us on how to make a greeting in French to our classmates. In this interaction, we could experience what L2 language learners feel to some degree as they go through the process of both adapting to the new language and also learning how to cope with regular classroom stresses and pressures. From there, Luc took us through his thesis work step by step. We covered anxiety and the psychology of anxiety as well as the differences between it and foreign language anxiety. There were many interesting points but the main result of the findings showed that ego is particularly vulnerable in the language classroom and threats to that ego lead to foreign language anxiety. Luc's quantitative analysis covered a sample of college and university students. The findings were overall lower than other studies with which he compared and contrasted. There were some interesting results but overall only one statistically significant result was reported - that of text anxiety levels between English majors and non-English majors - the English majors were less anxious about failing their language courses. He did conclude his anxiety reports with respect to FLA by saying there needs to be a rethinking of the research direction of anxiety and language learning. In particular, the majority of studies he found tended to view anxiety and language learning in a negative light with which view he did not concur. Basically some anxiety is necessary or positive as long as it doesn't lead to a form of freeze or panic in the student. 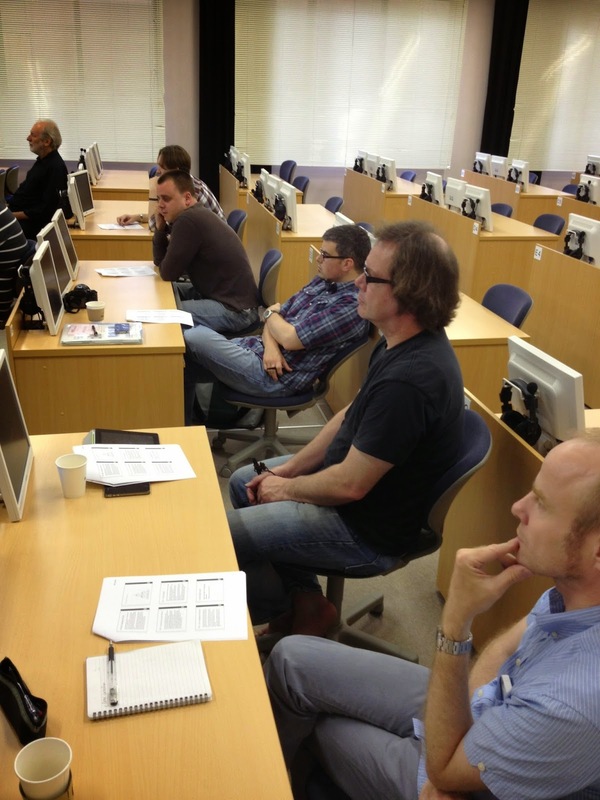 Avoiding those extreme situations as an EFL educator is important. 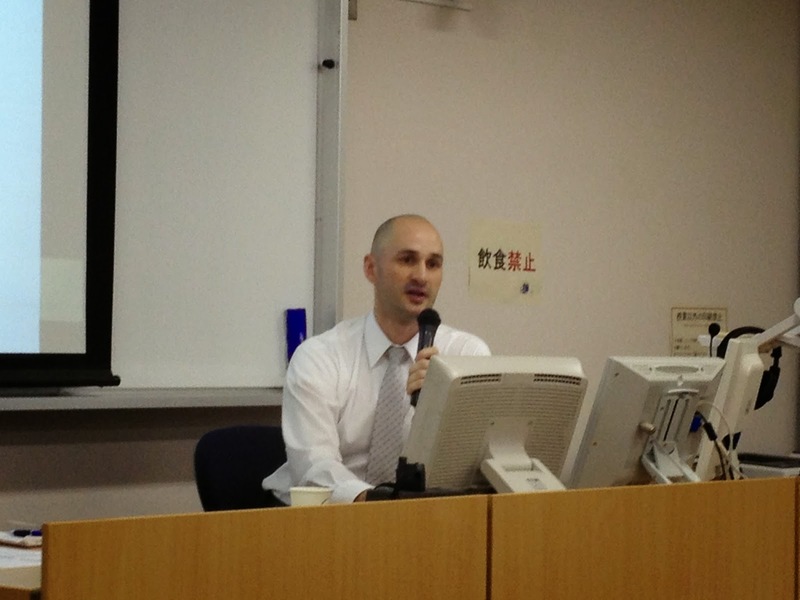 In the final part of Luc's presentation, he covered his use of physical education and EFL in a classroom environment. Luc's undergraduate degree is in PE from the University of Victoria in British Columbia, so he has the experience and training in that area. He found that by mixing language learning with PE activities that the barriers to anxiety were significantly reduced as students sought to complete these activities using English as a means rather than an ends. The results of his efforts were very interesting and informative. Thank you to Luc Roberge!